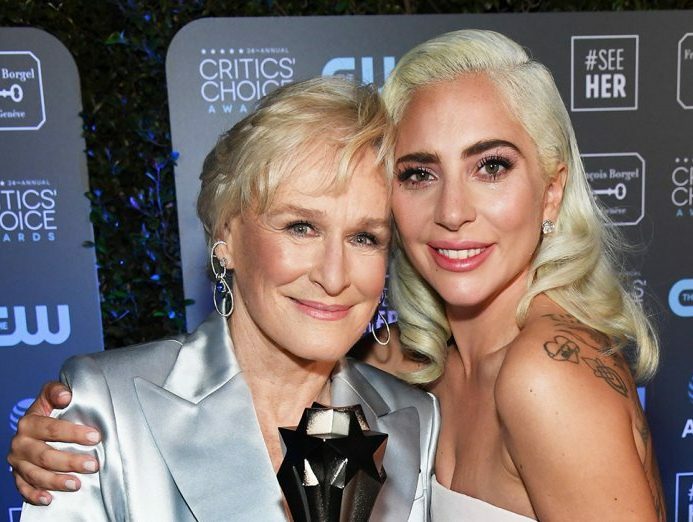 In the category for best actress in a movie, Glenn Close and Lady Gaga shared the second tie of the Critics’ Choice Awards on Sunday. Close won for her role in The Wife, for which she also took home a Golden Globe, while Lady Gaga won for her performance as Ally in A Star Is Born. “My mother and Glenn are good friends, so I’m so very happy she won this this evening,” Gaga said tearfully. “I have never had an experience with a director or an actor like I had with you, and I will cherish it forever,” Gaga said tearfully. “You seamlessly were both the love of my life and the man behind the camera.”Gaga also won the award for best original song earlier in the night. The two winners follow a tie announced earlier in the night between Amy Adams and Patricia Arquette for best actress in a movie made for television or limited series. “I think I can speak for all of the women in this room: We celebrate each other, and we are proud to be in this room together,” Close said, adding to the cheers of female empowered expressed throughout the night.